696€ 2300mm Ø28mm 700g Nemeth Javelins' current youth world record holder (89.34m) and Youth Games champion (2010) competition javelin with hard carbon fiber coating. 629€ 2300mm Ø28mm 700g The excellent Nemeth SC 80m Olympic quality competition javelin received a medium carbon fiber coating. 591€ 2300mm Ø28mm 700g The excellent Nemeth SC 70m competition javelin received a soft carbon fiber coating. 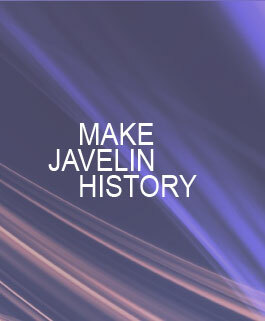 You can download our Al-Carbon 700g Javelins catalogue here: Al-Carbon 700g Javelins Catalogue.